The operating conditions for this converter require that it withstand very strong vibrations. To achieve this, we joined together all major components with powerful adhesive and coated the entire circuit board with varnish. 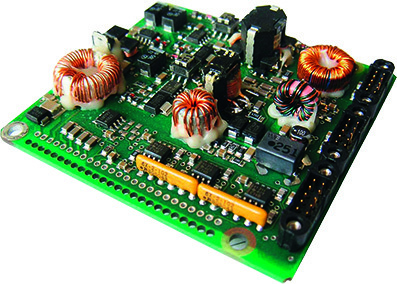 Another important factor is the very good output voltage filter. The converter works with two independent converters, allowing for a higher fail security of the system. Our team integrated high-speed amplifiers developed by our customer in the unit.